Fauxionable Outfit – Check It! It’s been a while since I last posted an outfit, so here’s one! I first saw these check pants on Tuula and I love them. (Then again, I’m almost always drawn to all things monochrome. Heh.) Fact that it was on sale within my price range? SOLD! It reminded me of the Tibi check pants except the colors were inverted, white on black and with a budget-friendly price. Since I wasn’t sure on the sizes, I ordered two pairs, a size 2 and a size 4 and the smaller size was a much better fit. I find the fit to be much better than my Banana Repubiic Hampton Cropped Pants in size 0 as seen here. This entry was posted in Fashion, Outfit and tagged Adia Kibur, ASOS, green, Little Stam, Marc Jacobs, Michael Kors, monochrome, Sam Edelman, ZARA on August 15, 2013 by fauxionista. The weather seems to be rather temperamental but since it will be a warmer day today, here’s a Fall outfit sans jacket or coat. This entry was posted in Fashion, Outfit and tagged Banana Republic, black, Club Monaco, Little Stam, Marc Jacobs, Michael Kors, milk, tulle on September 25, 2012 by fauxionista. My name is Little Stam (though some like to call me Baby Stam) and Milk is my ethnicity. I am part of the Marc Jacobs Resort 2007 collection. 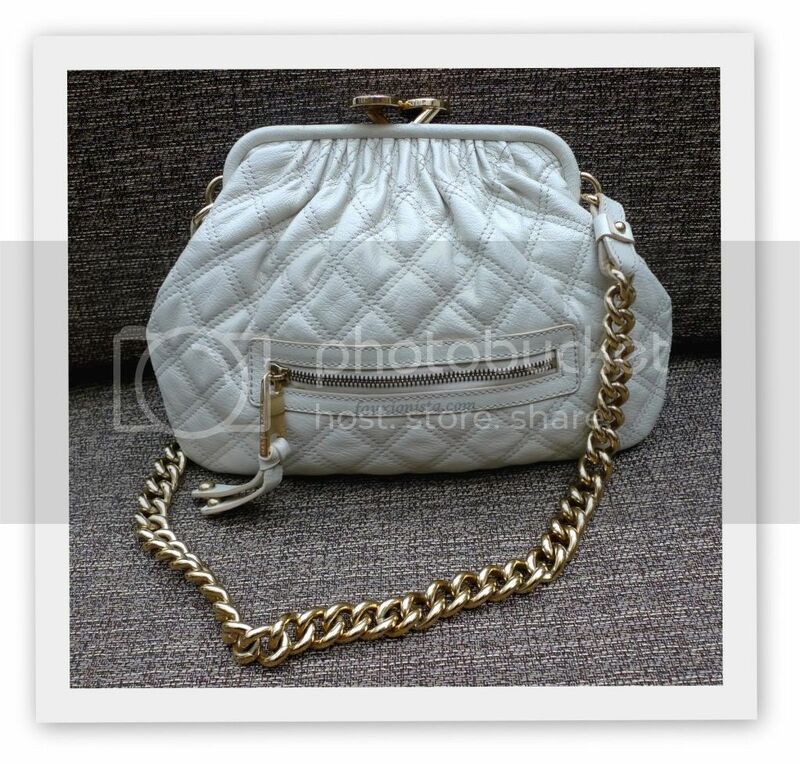 I am the little sister to the iconic bag Stam, which was named after the model Jessica Stam. I first came onto the designer handbag scene in Spring/Summer of 2006, a season after my iconic sister. What words would you use to describe yourself? Modern classic with an edge. What is your greatest adventure so far? Hmm… I haven’t really traveled too much. I’ve just been around the DC area since I moved from Italy. Are you jealous of your older sister at all? If so, why? Nope. She has her appeal while I have mine. I’m lighter and a practical alternative for those looking to have an iconic piece of Marc Jacobs without sacrificing the style. Yes, definitely NOT the chain! I have to say the kiss-lock. It’s what makes the Stam family special! Do you have sisters of different ethnicities? Yes, I do. We are diverse as the colors of a rainbow! What’s an evening with you cost? I’m definitely NOT a cheap date. I’m classy and therefore I will not reveal my magic number! (My younger siblings are $895). I will say that at my prime, an evening with me was $795. With what do you like to be matchy-matchy? Well, I don’t really have a preference since I think I am fairly versatile. I look good being matchy-matchy with casual or formal outfits. Well, thank you for your time. It’s been a pleasure getting to you know you better, Little Stam! This entry was posted in Fashion and tagged Little Stam, Marc Jacobs, milk, Resort 2007 on September 23, 2012 by fauxionista.